These Conditions of Sale apply to all purchases made to VICAtronic, which reserves the right to modify it at any time. The terms and conditions of sale are those in force at the date of acceptance of the order by the Buyer. The buyer is subject to these general conditions of sale which prevail under the provisions of Article L. 441-6 of the Commercial Code, on all purchasing terms, unless special conditions of sale agreed between the parties. Our sales are exclusively reserved for professional. Any customer who has placed an order with VICAtronic is supposed prior consultation with these terms and adhere permanently without restriction or reservation. All pricing is current. Pricing is valid for the time mentioned on the Quotation. VICAtronic reserves the right to modify or change pricing on the day of delivery if, during manufacturing, changes occur in raw material prices, supplies, wages, exchange rates or other conditions beyond the control of VICAtronic, including alterations in the tariff rate, freight charges, or insurance rates. All pricing is exclusive of any Value Added Tax in force at the time of the order.To order to VICAtronic it is necessary to have an account. All purchase orders are non-cancelable and non-returnable. Buyer will receive a written Order Confirmation from VICAtronic. It is the Buyer’s responsibility to review and check the Order Confirmation to insure it is correct. In order to buy VICAtronic’s products the customer must open an account and provide VICAtronic : company's name, contact and service's name, bank details (with IBAN and BIC ), details (address, tel., fax, ...), VAT number and SIRET number. ). 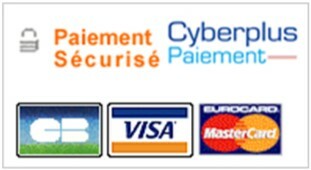 A minimum order of € 100.00 HT is required for all shipments outside metropolitan France. The delivery time is stated in the Order confirmation. All deliveries are shipped via the preferred freight carrier of VICAtronic unless otherwise specified by Buyer. VICAtronic agrees to send any product ordered to the delivery address that has been carefully stated on the order. Please note your phone number and your email address must be listed on the note of our carriers. This information is used to alert you in case of difficulty of transport. In their absence, it may be makes no claim, regardless of the delay time will take delivery. VICAtronic can not be held responsible for delays in delivery if they come from one of its carriers. Delivery times are indicative and noncompliance shall in no case result in a cancellation of the sale or payment of damages. An express delivery, the next day before 10:00 crafted, is offered to the customer on request. This induces an additional cost. Any shipping outside of mainland France can be made after acceptance by the customer of the estimate of the cost of transport. We are able to use your own account number for your UPS shipments. Any special packaging will be invoiced to the buyer. Payment is not considered complete until the entire purchase price has been received in full. If the conditions of payment agreed upon are not fulfilled, VICAtronic reserves the right to cancel subsequent shipments. VICAtronic shall invoice the Buyer, and the Buyer agrees to pay, for any work in progress and any component parts purchased by VICAtronic based upon the original order. A cash settlement is required. Special packaging, transports, documentaries and bank costs for any consignment outside France are payable by the customer. The settlement will be made either by SWIFT transfer (first order) or by irrevocable and confirmed letter of credit, open a French bank to 30 days net from the invoice date subject to credit approval. The client undertakes to comply with the legislation in force in his country. Goods sold remain the VICAtronic property until full payment of the price and its accessories. In case of dispute or complaint from the customer, any compensation of any kind, can not challenge the title retention clause. This provision shall not prevent the transfer to the customer upon delivery, risk of loss and damage of goods sold and the damage they could cause. Goods sold are guaranteed against defects in operation from a defect in material, workmanship or design for a period of one year from the date of invoice, subject to a consistent use of the product by the customer. Liability is limited only to goods supplied by VICAtronic and does not apply to damage, injury or loss of income from a defective component. The warranty is excluded if the defect as the result of a modification of the product, negligence or lack of maintenance or use of it by the customer. Any complaint must include details on the use of the article, the purchase date and the place where the defective component is located. We reserve the right to replace this product or issue a credit for the value of the item price charged. The guarantee does not apply to products returned without their original manufacturer labels (where are mentioned reference, serial number and date of manufacture). Our warranty is limited to repairing or, at the option of VICAtronic or its supplier, replacement of defective hardware recognized by our technical department or that of our supplier. VICAtronic will in no way obliged to repair the damage provided by the defects which, inter alia, the unavailability of equipment or trial on which it is mounted, during the time of repair or replacement. The warranty does not extend to repair times, processing or hardware changes. The customer must ensure at the time of delivery in the presence of the carrier that the package is not damaged and bears no trace of tampering. In the case of a multiple delivery, the number of packages corresponding to that mentioned in the documents of the carrier. The customer is required to mention its reserves on the documents of the carrier, or failing to notify the carrier by registered letter with acknowledgment of receipt no later than within three days of delivery. A copy should be addressed to VICAtronic, failing that, no claims can be accepted by VICAtronic. The return must be made carriage paid within a maximum period of 10 days from the date of receipt of goods at the customer premises, but only after acceptance and approval of the technical service VICAtronic and its supplier. All returned product will be a quality control from VICAtronic and its supplier before making any decision. Products must be returned in their undamaged original packaging (if the return can not be accepted), and accompanied by the number of delivery or of the corresponding invoice, in a maximum of 6 days from the acceptance of the return. In case of force majeure, VICAtronic is not liable for delay or failure to perform its obligations, particularly in the event of abnormal delay because of the supplier, natural disaster, fire, explosion, flood, bad weather, strike national, accident, riot or civil disturbance, shortage of materials or products. All disputes arising from sales transactions subject to these general conditions of sale are the exclusive competence of the Commercial Court of Bourges.